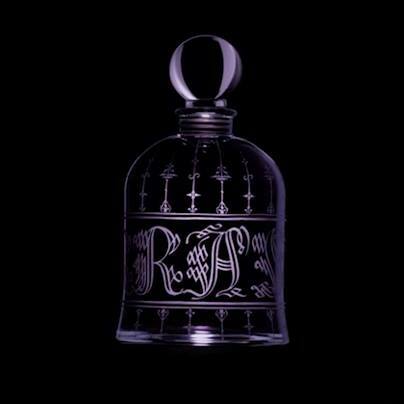 Sarrasins in the limited-edition, engraved Bell Jar. A song of fire and ice, to use George R.R. Martin’s words, is one way to describe Sarrasins, Serge Lutens‘ legendary animalic jasmine bell jar fragrance, but it is only the start. White flowers are stained purple, then given a fiery (carnation) bite that is also icy at the same time. Sweetness and a touch of girlie femininity come with a snarled lip and haughty contempt, cloaked in tough black (castoreum) leather. Delicate powder is juxtaposed with feral civet. Thick purple grapes and pink bubblegum that evoke an almost Andy Warhol-style of Pop Art run through flowers that bear a gothic feel at times. All of it, somehow, unexpectedly, works well together, and all of it repeatedly makes me think of Cersei Lannister in Game of Thrones and the progression of her character. Sarrasins in the regular bell jar (left) and the special, limited-edition version (right). Photo source: NST. Before I continue I need to explain that my decant of Sarrasins dates back to 2013 and that is significant because fragrances tend to get reformulated after 5 or more years. Plus, over the last 18 months in particular, readers have repeatedly told me of reformulations in both the regular and Bell Jar lines. (Chergui has been changed quite a few times by now, significantly for the worse, as have several of its fellow export fragrances like Cuir Mauresque and Un Bois Vanille, and most people know about Iris Silver Mist and the various Bois fragrances, but hearing about Fourreau Noir and De Profundis this year genuinely made me sad.) I don’t know how my sample of Sarrasins compares to the original and I don’t have a current sample to assess if it’s been altered even more, but the fragrance is now 8 years old now and, therefore, it may have gone through at least one level of tweaking or dilution. So, what I will describe here may not an exact or identical olfactory representation of what was originally released or what is currently being sold at Le Palais Royale. I’m sorry for that, but there is little I can do. I took white jasmine and contrived to make it as black as a panther, as black as night, which is embodied in this fragrance. Jasmine, Carnation, Civet, Castoreum, Musk, and possibly Osmanthus. Sarrasins opens on my skin with sweet, syrupy, and indolic jasmine that’s given facets of fire and ice through a gorgeous carnation note. The latter is chilly, spicy, fiery, and heady all at the same time, staining the jasmine’s lush petals with red. Yet, there is also abundant black here as well because Mr. Sheldrake treats the jasmine with the same methods that he previously used for Lutens’ gardenia (Une Voix Noire) and tuberose (Tubereuse Criminelle) fragrances where he deconstructed the flowers and manipulated their indoles to bring out their mentholated, camphorous sides as well. The difference here is that he’s turned the inherent coolness underlying the mentholated side of indoles into a major, powerful element of Sarrasins through the use of carnations. You know that spicy burst of heavily floral iciness that appears when you open a florist’s refrigerated case? That’s the scent of the carnations here, only they’re juxtaposed next to the heated lushness of ripe, languid, creamy jasmine as well. The two flowers are heavily stained with purple, the same colour as Sarrasins’ actual juice, thanks to ripe, juicy Concord grapes. One of the natural organic compounds in white indolic flowers like gardenia is methyl anthranilate, the same organic compound that is also present in Concord grapes. According to Wikipedia, a synthetized aromachemical version of it is used quite a bit in perfumery as well. In Sarrasins, I don’t know whether the grape element comes from the natural side of jasmine or something else, but the floral component in the fragrance is definitely fleshed out by the thick sweetness of purple grapes (that sometimes bear a purple-pink bubblegum nuance as well). It’s a trick that Christopher Sheldrake employed for Lutens’ Billy Holiday bell jar gardenia, Une Voix Noire. Sarrasins shifts within minutes. Wisps of pepperiness dance at the edges, followed by new ripples of civet that quietly augment the jasmine’s indoles and their camphorated blackness. In the base, a leathery, musky castoreum begins to stir. Up top, there is a subtle powderiness that is sweet and floral. At first, it doesn’t seem like a separate note so much as an indirect off-shoot or by-product of one of the other elements but, slowly, it coalesces into something resembling either orris or osmanthus. It’s not precisely a makeup powder puff and, yet, there is a dusty and feminine quality to it that is difficult to explain. Regardless, it’s not a major note and it’s far outweighed by the jasmine’s grapey, mentholated, and indolic sides. Sarrasins continues to radiate different facets as it develops. The civet grows increasingly strong after 30 minutes, fusing with the black indoles, the spicy and peppery carnation, and the orris-y powderiness. At the same time, the castoreum begins to seep up from the base, a gradual progression that sends out tendrils of a different sort of musky animalism. All of them dance around the white jasmine, much like acolytes worshiping their queen on high, and the result is not only fire and ice, but leathery, peppery, and animalic blackness as well, a jasmine that feels simultaneously hard and soft. Intellectually and technically, I admire it a lot but, emotionally, it doesn’t always hit me on a visceral, emotional level. At times, Sarrasins feels like a gothic take on jasmine. Yet, whenever I’m faced with grape and bubble-gum notes in a white floral bouquet, I’m always reminded of Pop Art and Andy Warhol — and that’s quite a different aesthetic and vibe from the “black panther” that is intended. I appreciate the juxtaposition of the castoreum’s masculine leather, the powderiness’ femininity, the civet’s bite, and the carnation’s iciness, but I’m much more moved on a personal level by the narcotic headiness of Serge Lutens’ other jasmine creation, A La Nuit. If the latter lasted in any way on me instead of dying a bizarrely rapid death, it would probably be my favourite jasmine of all, thanks to a bright, fresh, semi-green, almost bridal jasmine bouquet that is taken to such lush abandon and extreme excess that Tania Sanchez called it “death by jasmine” in the Perfumes guide. A La Nuit is a different style or treatment of jasmine, but I’d be the first to admit that it’s hardly as sophisticated or as complex as Sarrasins. A La Nuit is really just a simple jasmine soliflore. Sarrasins is not, even if some of the accompanying notes exist purely in service of the jasmine. It feels more multi-faceted and nuanced, and it has a bite which A La Nuit definitely lacks. My favourite part of Sarrasins is the carnation, a flower which I love in general for precisely the chilly, fiery, spicy aspects that I keep mentioning here, but those elements feel particularly inspired when merged with the surprisingly heated, almost tropical quality of the musky, lush jasmine-civet-castoreum accord here. 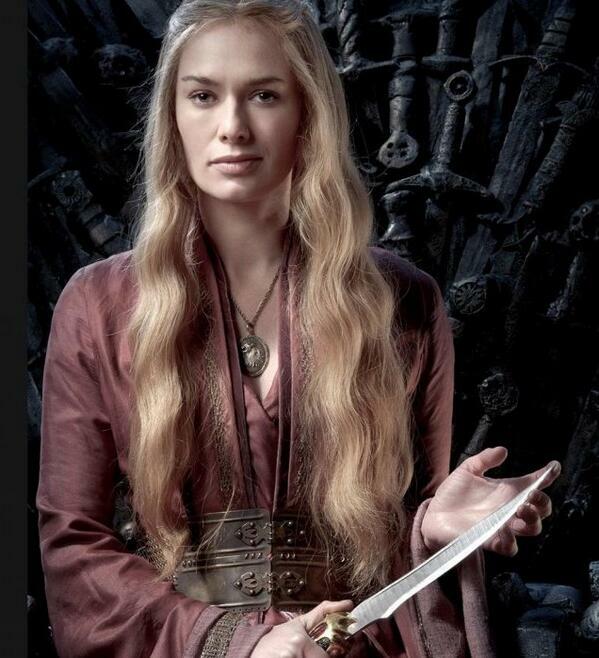 “Cersei Lannister.” Source: lena-headey.com and Twitter. A parallel transformation occurs to Sarrasins on my skin. At the end of the first hour and the start of the second, the jasmine’s creamy white petals drip with as much civet and leathery muskiness as they do smoky, black indoles and peppery, spicy carnation. A veil of floral powderiness hangs on top, a nod to femininity that is matched by the jasmine’s inherent syrupy sweetness, but this is really a rapacious, “take no prisoners” jasmine that has no interest in playing nice, in being conventionally feminine or delicately proper. She’s got a snarl, her teeth bared with sharply animalic (civet) venom, her sophistication draped in (carnation) chilliness and hauteur, as she sits on a throne of (castoreum, indolic, and camphorated) blackness. It’s Cersei Lannister in perfume form. Unlike some of the famous Lutens bell jar fragrances, Sarrasins doesn’t twist, turn, and morph in major, dramatic fashion on my skin, but it does frequently alter the order, prominence, and nuances of its notes. By the end of the 2nd hour, the fragrance turns smokier and darker. 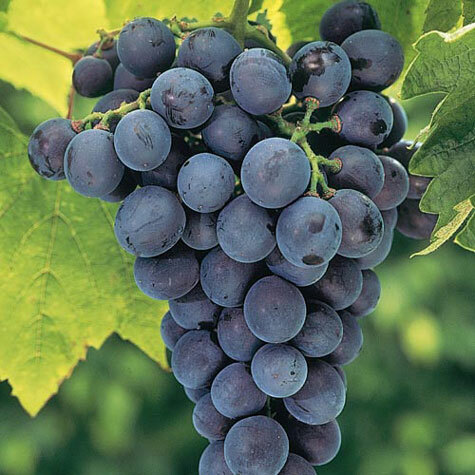 The grape-y purpleness disappears, the powderiness grows faint, the castoreum turns into simple animalic muskiness, as its leathery undertone becomes a mere hint in the background. Now, Sarrasins is largely a three-way race between the civet, the red, spicy/chilly carnation, and the indolic, blackened jasmine. But it doesn’t stay that way. About 3.5 hours in, to my surprise, the jasmine recedes to the background, fluctuating and shimmering as the softest, quietest and most impressionistic floral sweetness, leaving only its black indoles behind on center stage to twine around the carnation and the increasingly urinous, musky civet. On occasion, the streaks of jasmine are so thin and muted that they seem to disappear almost entirely but, each time, much like the ebbing and flowing of the tide, they return in stronger form, rippling forth to stroke the civety carnation’s petals with a lusher, warmer, more syrupy floral sweetness. There really isn’t much else. Once in a blue moon, there is an elusive suggestion of something vaguely resembling cloves, but it may be just another side of the carnation. A hint of the osmanthus or orris-y (or benzoin-ish?) powderiness pops up just as infrequently, then quickly darts away. 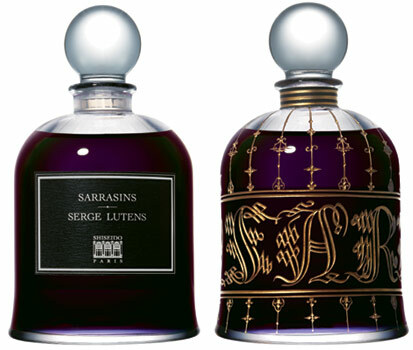 For the most part, though, Sarrasins is predominantly about the chilly, spicy carnation and the animalic civet on my skin. The latter’s muskiness is sometimes sharply urinous, sometimes akin to fur and heated skin, just as it is in the middle to late stages of Lutens’ Muscs Koublai Khan. Sarrasins remains this way for a while, growing sheerer, quieter, simpler, and more impressionistic with every passing hour. About 6.25 hours in, I thought the fragrance was close to fizzling out, but it hangs on tenaciously as the thinnest lacquer on the skin for a bit longer. To my surprise, the jasmine makes a return towards the end, although the civet often overwhelms both flowers. In its last moments, all that’s left is a sweet, indolic, chilly, spicy, vaguely jasmine-ish floralcy that is thoroughly drenched in sharp, occasionally urinous, civety musk. Sarrasins had good longevity, initially good sillage, and moderate-to-low projection on my skin. Using several generous smears equal to 2 good sprays from an actual bottle, the fragrance opened with about 3-4 inches of projection and 5-6 inches of sillage. At the end of the 2nd hour, the projection was about 1.5 inches, and the sillage was 3-4 inches, although the latter seemed to extend further whenever I moved my arms. What was unexpected was the way those tendrils continued to quietly weave out even when Sarrasins turned into a skin scent about 3.75 hours into its development, albeit weave in a very soft, minor way. Equally strange was the way Sarrasins became so wan, sheer, and discreet on me after 6 hours that I was sure it was about to die. Every moment after that, its demise seemed equally imminent. Yet, Sarrasins clung on tenaciously, lasting just under 9 hours in total. Serge Lutens’ Bell Jar fragrances are intentionally more challenging than the regular line, so it should come as no surprise that Fragrantica opinions are split on the question of Sarrasins. One person preferred A La Nuit‘s style of jasmine, while a second thought Sarrasins was merely a boring jasmine soliflore. Several people were put off by the animalics: one thought the fragrance smelt like “urinal cakes,” no doubt thanks to the civet, while “Black Ivory” wrote that Sarrasins smelt “like the stable boy and the lady of the manor had a romp.” She didn’t mean it in a good way, largely because the animalics smelt to her like horses and feces. Source: Pinterest & Twitter. Artist unknown. Yes, it does open with a bright, just-budding jasmine, heightened by spicy notes and a swirl of other floral tinges, but it settles down in time to, what I would call and as others have mentioned, a sort of ‘reduced’ jasmine; a representation rather than the actual thing. Like a painting or, indeed, a sculpture of a jasmine flower as mentioned below. It becomes dry, progressively sweetening, dusty, slightly metallic / cold, almost clove-studded. The budding flower has been abandoned and left to wilt, scorned for its austerity, and collects powder in some forgotten corner. This stage triggers some quite powerful memories and images for me… It is a sad, melancholy perfume on my skin and in my mind. Deep and dark, yet somehow aloof and cold, powerful, all at once. 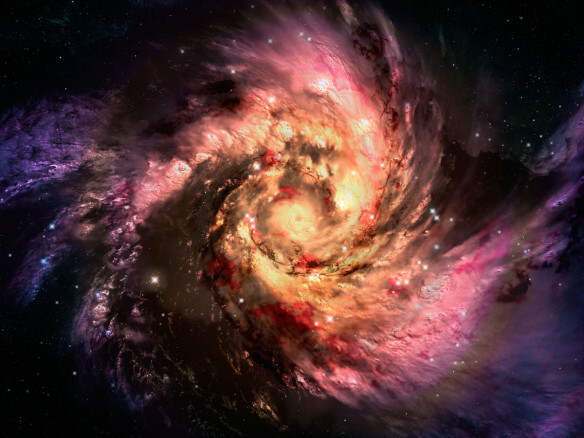 It moves once more however to the final stages, as waves of indoles and animalics, reminiscent of MKK, begin to sweep in as the jasmine finally begins to rot. The powdered sweetness cannot hide the browning petals as they droop, releasing the smell of their spicy decay. 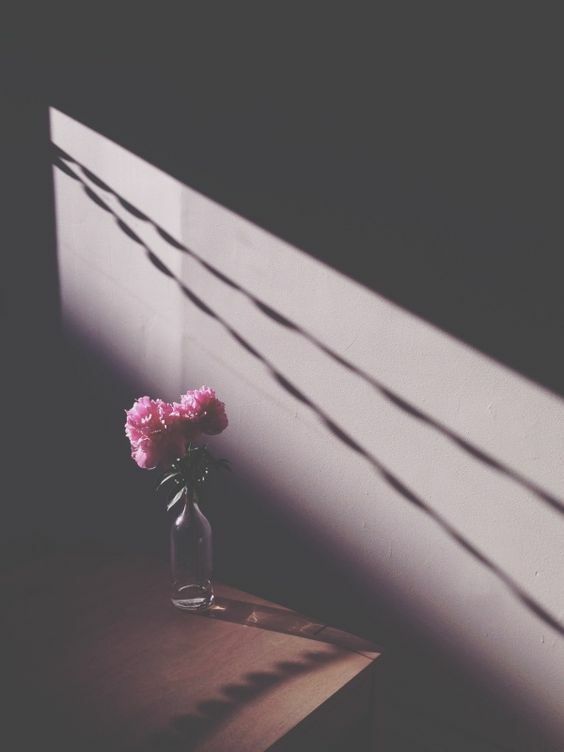 It’s as if the whole life-cycle of the flower is played out before me, on my skin – from budding to eventual wilt and death. Beautiful. Sarrasins is beautiful. I have never been the type to love a floral bombastic beauty. I usually prefer a complex blend, but something kept drawing me back to the sample. Sniffing the wax samples, my nose always landed over this one. Something creamy. As white, and soft as virgin skin. When I close my eyes & lose myself in the scent I picture only pale beauty. Unashamed, captivating and confident, she enjoys the feel of silken sheets & fine things. Jasmine so beautiful the smell brings to mind the actual tactile FEEL of a silken petal. A bed strewn with hundreds of them. And something darkly palpable, delicious tension you could cut with a knife. I feel like this perfume is for the bedroom, or a dark room. For a black dress, or nothing at all. It is for the white skinned beauty that lures you into delicious darkness. You follow her to your divine destruction.. And you go willingly into the night. Her night. Honestly, such a beautiful jasmine. Creamy, and darkly mysterious, almost palpably sexual, like a racing heartbeat & dilated eyes..I refuse to pick it apart further. I don’t care to. If you love jasmine, this is a must try. I find it FB worthy, and I used to detest jasmine strongly. She has me. Time for a review edit, now that I’ve tried the liquid a couple of times, & I’m still very much in love. The growl is louder, there is a lot more “presence” here, than with the wax sample. There is a bit of a fruity aspect on the top that floats around a bit, but never lands thank goodness, its just for balance. I could see this perfume as being “moody” it may love you one moment & seem too strong another. 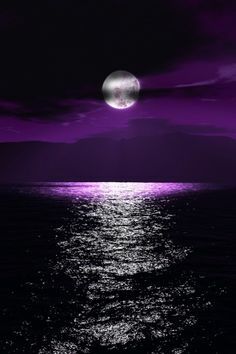 But I love strong fragrances at night, and to be clothed in the dark, there is no better scent. Sarrasins (Saracens) starts with a tremendous blast of properly indolic jasmine. Just when you are finished saying “Very nice” and are beginning to form the thought “Where is this white floral going next?” it briefly modulates to what you think is going to be a dark, minor-mode leather note and immediately afterward startles you with a refulgent blast of apricots. The leather-apricots accord smells to me like osmanthus, and the duet with jasmine then carries on satisfyingly for hours. I’ve been a Lutens fan from day one, but of late had trouble liking several fragrances that felt oddly loud, even crude. This one is in a completely different league in both intent and execution, an ambitious, abstract, large, rich, sweeping thing of beauty that smells fantastic on skin, is devoid of any overt orientalism, and could just as well have formed part of the new Chanel collection. I rather wish I’d encountered those osmanthus apricots. I have to wonder if they were something that was lost in reformulation because nothing in my 2013 sample resembled them. The fragrance didn’t bear quite so much richness as Mr. Turin describes, either. I have to also say that Sarrasins felt less complex and “baroque” than some of the earlier descriptions that I’ve read. Having said that, I do agree with Mr. Turin and some of the Fragrantica commentators that there is an abstract, impressionistic quality to some of the notes, particularly as the fragrance develops, but I wasn’t enamoured by it. To be honest, I found the later parts of Sarrasins to be quite boring and overly simplistic. Impressionistic florals or musky civet-carnation only go so far for me. Again, I have to wonder what the 2007 Sarrasins was like. Having said that, I do think Sarrasins is a “must-try” if you’re an ardent fan of indolic jasmine, floral leathers, and animalic florals. If you don’t love all three genres, then I’m not sure I would recommend it. The Paris Bell Jar Exclusives are intentionally meant to be challenging “Art,” and Sarrasins is bound to be difficult if you have no tolerance for civet, castoreum, or indoles. As for gender, I know almost as many men who love and wear Sarrasins as women, largely because of its dark, leathery, and musky sides. If you’re a man who tests the fragrance and initially finds it too “femme,” give it an hour or two. Your opinion may change when the animalics fully emerge. At the end of the day, Sarrasins isn’t for me personally, partially because I prefer A La Nuit’s “death by jasmine” and partially because I find its price is a little expensive for what appears on my skin when taken as a whole from start to finish, particularly given its discreetness later on. Despite that, though, I thoroughly enjoyed its dramatic, bold, highly evocative, and sophisticated first half, and I respect the intention behind it. 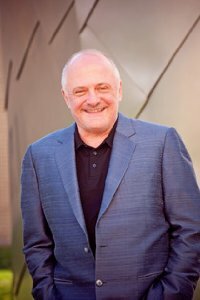 Luca Turin called Sarrasins “in a completely different league” from some of the other Lutens and, given the most recent releases, I think that statement is true now more than ever. Cost & Availability: Sarrasins is an eau de parfum that is available only in a 2.5 oz/75 ml bell jar for $310 or €170. You can buy it from the Lutens Palais Royale store, from the U.S. Serge Lutens website (at a big mark-up) or from the International one. In the U.S., Barney’s is the exclusive retailer for Lutens Bells Jars and sells Sarrasins for $310. Personal Shopper Option: To get around the almost 80% American price hike, you can turn to Suzan at Shop France. She’s a reputable, professional personal shopper who is used by a number of perfumistas I know. She goes to France to buy you perfumes (or other luxury items like Hermès scarves, etc.) at the sometimes lower French rate. You pay her a 10% commission for service on top of the item’s price. 50% of that price is a required down payment. (It’s designed to make sure people keep their word and don’t leave her hanging with expensive perfume.) However, and this is significant, in the case of the Bell Jars, the down payment price is around $225 instead. That was the 2013 or 2014 rate, so it may have gone up a little since then. The amount includes customs taxes that she pays each time, as well as a tiny, extra markup. All in all, it’s still cheaper than the $310 (excluding tax) that you’d pay in the US. Another caveat, however, is that Suzan is limited to only 10 bell jars per trip, via an arrangement with the Lutens house. There is a wait-list for the bell jars, but she goes every 6 weeks, so it’s not a huge wait, I don’t think. If you have specific questions about the purchase of Lutens bell jars, or anything else, you can contact her at shopfranceinc@yahoo.com. As a side note, I have no affiliation with her, and I receive nothing from mentioning her. Outside the US: In Europe, Sarrasins is considerably cheaper at €170 from the French Lutens website, the International one, or from their Paris boutique. Other language options are available, though the Euro price for the item won’t change. As a rule, the Paris Bell Jar Exclusives are not carried by department stores (outside of Barney’s), so you won’t find Sarrasins at Harrods, Galeries Lafayette, or the like. However, a reader told me that Printemps Lutens concessionary has some bell jars. Samples: Surrender to Chance sells Sarrasins starting at $3.99 for a 1/2 ml vial. It is also available as part of a Five Piece Non-Export Sampler Set, where you can choose 5 Lutens Paris Exclusives for a starting price of $18.99 for a 1/2 ml. This entry was posted in Animalic Fragrances, Floral Oriental, Florals, Perfume Review, Serge Lutens and tagged Animalic florals, Christopher Sheldrake, Jasmine Carnation, Jasmine Castoreum fragrances, Luca Turin 5 Star reviews, perfume review, Sarrasins fragrance review, Serge Lutens, Serge Lutens Sarrasins, Serge Lutens Sarrasins review by Kafkaesque. Bookmark the permalink. Great review! I especially liked the Cersei comparisons. Thank you for posting such wonderful reviews. Welcome to the blog, Antonia. 🙂 I’m glad you enjoyed the review. By sheer coincidence I was craving jasmine today and dug out my little sample vial of Sarrasins – and wore it to work, because I just dont care. I love it, agree that it is more an artist’s rendition verging on abstraction rather than a lifelike representation, and for that reason maybe, I favor it a bit over A la Nuit. My sample is also from around 2013, so I don’t know if there have been any changes. I’ve been spending the past couple weeks (!) binge-reading your blog, and wondered, “what does Kafka have to say about Sarrasins” and look, it’s today’s entry. I’m looking forward to ordering some new samples, trying them, and re-reading your posts to see how your experience compares to mine. I seem to have a shortage of amber and patchouli scents. Thank you for the wonderful blog! Thanks, I just received a bunch of samples and so far am really enjoying Ambre Loup. Envious! do you know of a good source for pre-reformulation Serge Lutens (other than eBay?) Thanks! Not really. I bought it from someone who posted it on Looking, Feeling, Smelling Great site (or was i.e. Facebook Fragrance Friends, or Fragrance Sales and Swaps?). Sorry I can’t be of more help. Well, those leads are helpful, actually — thanks again! I’m glad you found a jasmine you can love and wear. I remember Sarrasins the most when I came across the full SL bell jar collection at Barney’s, only because of the bizarre juice colour. Really, I don’t see a blackish-purple juice colour for a perfume all the time. Sadly, I didn’t try it as I was too busy trying out the other bell jars (and now cursing myself for not doing it). Definitely worth trying when I get another chance. I am going to ask a “noob” question: how does one use any of the SL bell jar collections? I assume that since there’s no sprayer, one has to dab it on his/her skin, and this application method I’m not fond of. By the way, I am interested in finding the 50ml-bottle versions of Cuir Mauresque and Borneo 1834. Upon hearing that the former has been reformulated several times, it makes me even more curious as to how good the vintage must have been (when the new ones already smells really good). I usually decant a few ml into a spray vial. If you’re interested in older formulation, Bornéo 1834 in 50 ml square bottle was indeed released before 2010 and labeled with Palais Royal logo. But square bottle Cuir Mauresque seems to be labeled with the new SL logo, which I assume is after 2010. Regarding use, most people do what Yinghao has already mentioned, decanting. I use a pipette to remove the liquid from the bell jar into a 15 ml atomiser and, for Fourreau Noir, a travel size as well. Given how difficult it is to access/buy bell jars, I simply don’t trust myself in using it in any normal way and, like you, I’m not a fan of dabbing. As for the 50 ml bottles of the two other perfumes, your best bet nowadays is really eBay. Outisde of eBay, Borneo is basically impossible to find in the 50 ml bottles, and has been for a few years. I can’t even recall the last time I saw a retailer or even a discount retailer sell a Borneo bottle. As for Cuir Mauresque, it used to be relatively easy to find it on the discount sites or their eBay shops until about 18 months. It’s become extremely difficult now because the fragrance has been removed from the export line (for however long that may be) and limited to the Bell Jar one. So, the 50 mls have sold out at places like FragranceNet and regular retailers are obviously out, too. I think you should set up an eBay notification for any possible listing of either fragrance, then hope you don’t have much competition. BTW, going back to Sarrasins, if you ever try it again, be careful how you apply it because the purple liquid stains clothing. It leaves only a temporary, brief stain on skin. Personally, I happen to love the colour of the liquid, especially because it is so original and rare but it’s also a colour that will require a bit of care in how/where you apply. Apart from eBay, I was informed that I may stand a chance to find some rare gems in Rome. Apparently, the city has a lot of vintage perfumes and it’s worth going the extra mile just to see what I can find there. Crossing my fingers to come across surprises there. I see A La Nuit in exactly the same way you do: bright and dazzling! Sun-filled, in fact, and hardly representative of the night. However, I think the choice of names may have been intended to reflect the fact that flowers like jasmine and tuberose supposedly release their strongest and sweetest scent at night, opening up once the sun goes down and the heat has ended. That’s my guess, anyway. I just wish A La Nuit lasted on me. I remember when I first tested it years ago, I thought I was a freak for how quickly it died on my skin but, a few months ago, I looked at Fragrantica and saw that tons and TONS of people had identical accounts about A La Nuit’s longevity. 2-4 hours, at most. Some even less than that! I was so relieved that I wasn’t the only one. lol I think it’s a testament to A La Nuit’s dazzling beauty and headiness that I bought a bottle despite the fact that the abysmal longevity goes against my every rule or preference for my own perfumes. I just couldn’t help it. So, for you, out of the two jasmines, which one stole your heart more? It sounds like it was Sarrasins. Is that your all-time favourite jasmine fragrance or do you have another? How do you fare with A La Nuit’s longevity, by the way? As a side note, since you’re a jasmine lover, have you tried La Via de Profumo’s Tawaf? It’s gorgeous. Kinda wish I read this completely first , for I just ordered Jeux de Peau from the SL’s US shop online .They are giving out 12 free samples with your order. Which is good, for I’ll get the chance to sample more from Serge Luten’s line.I have book marked this page, for I would love a Bell Jar, and Suzan’s Shop Paris would be my ticket to one. I have a very nice collection of American Brilliant Period , ABP, cut glass. The bottle would look beautiful next to a couple of them. My 50mil bottle of Cherqui is from 2014 and I love it. I don’t know what it was supposed to smell like before hand, maybe one day I’ll get the chance. Hey, what about some of these perfume houses doing something like a ” Pre Reformulation Revival “. That would be nice. Thank you so much for this article and Suzan’s link. I’m glad the Suzan/Shop France link helped. With regard to ordering from Lutens, getting 12 samples is a great deal, and it makes the site a better choice than ordering from one of the retailers like Luckyscent or Twisted Lily. (I’d normally have suggested ordering from a place like FragranceNet to save a lot of money, but Jeaux de Peau is not one of the fragrances they carry.) Anyway, I really hope one of the samples they send you is Fille en Aiguilles. It might be my favourite Lutens. Fantastic fragrance!!! So, if you haven’t tried it, you simply must!! Also hope they send you Fumerie Turque, and I’ll be interested to see what you think of Serge Noire if that one is included. I ordered Arabie and I am very pleased. I checked the batch number VAQ02X. It’s from January 2013. I also received Arabie in the sample form from US Serge . Not a difference worth mentioning. I sampled a lot of these from Serge sometime ago. I gave tons of my samples to someone that wanted them, sadly SL went with them. I sill have way to many, but I am keeping the rest. I have to go through MFK’s yet. That said, I didn’t get Fille en Aiguilles this time, but I seem to remember pine and smoke. For me Profumum Roma’s Arso is one of the best in that category.I will get another sample of Fille though. I now have over 20 samples from Serge. I did receive Serge Noire and I just little spritzed a little on. My first thought was I know this in a couple other fragrances . Dark and thick but smooth and I like it. Mind you the reason I like Jeax de peau is the licorice , but just not that. At the bottom there is something small but molds the rest of the structure around that base. To me it’s beautiful that it’s there and noticeable . Just took a whiff of Noire and that opening has moved away opening other facets. Let you know more when I can get a chance to really spray some on. Oh the batch of Jdp from US Serge is from July 2015. So all in all there is nothing wrong with Fragrancenet. I just ordered Amouage Jubilation 25, the 50 mil fro 120. I hope it’s a pre magnet cap. Fingers crossed. Thank you for the reply. I have been sampling a bit today and , so I think that my first testing was a bit off. I just reapplied Serge Noire and the opening isn’t smooth, it’s a bit acrid , but that changes . I put a little on my left wrist first. Then 5 minutes latter I sprayed some on my right wrist . The opening isn’t so bitingly bitter on my left wrist now .My right wrist is still like a mouthful of bitter dark greens. The steam part not the leafage , but it is starting to develop into something nice on my left wrist. My first sampling had the latter stages acting like something smooth and sweet, but that might be all different now too. Now my left wrist is smelling better and similar to what I remember in my first test. I think though, I would have to wait a half an hour before I could go outside with Serge Noire. Oh I just smelled my left wrist again, much better. cloves. Sorry if i make things confusing .I think I am talking about the same thing on two different posts. Thank you for the review. I’m heading back to Europe (from New Zealand) in December and am slowly compiling a wish list. I’d just put Sarrasins on that list, so your thoughts are quite timely. One thing though – last time I was in Paris (December 2014) I was able to buy Bell Jar fragrances from the Serge Lutens concessionary in Printemps (and I will go out on a limb to suggest it also has the best perfume gallery of the large department stores, a decision sealed by the particularly friendly staff I encountered there, who remembered me from the year before). Perhaps that has changed? I hadn’t heard of a Printemps offering of Bell Jars, Lee, but I haven’t been to Printemps for ages to know for myself. Other Lutens concessionaries or mini stores (like the one in CDG’s big Terminal (5?) Duty Free) don’t offer bell jars, just the regular line. If Printemps offers it, it’s extremely unusual and out of the norm because the whole Lutens philosophy of exclusivity behind the bell jars is to make them a special feature of his Palais Royale headquarters. Please don’t think any of this means I’m doubting you, because I do not and I believe you completely. I’m merely astonished by the news. But I’ll look into it and see what I can find out. Thank you for alerting me to the news. Doubt sets in! Though I’m sure I purchased Fumerie Turque at Printemps (and happily surprised to see the Bell Jars there too). Oh dear, that’s a dreadful timing for shopping. It will be an utter madhouse!!! Good luck in surviving the thronging hordes. lol. As for Lutens and Printemps, I think it must be a very unique situation. It’s located in Paris just as Lutens’ place is, and it’s a semi-separate Lutenesque mini-shop, essentially. I can’t see something similar happening in, say, Harrod’s Lutens section or the new Saks one. Anyway, have a blast on your Christmas trip to Paris. Stay safe (and I’m not just talking about the Christmas shopping hordes), and I hope you find some perfume treasures. Hi Kaf .Hopefully you can get back to me concerning a batch code from Serge Luten’s . It’s Fille en aigullies. The batch code is 6209KM . I thought the letters came first. Have they changed it this year ? I got it from Fragrancnet. Thank you. Eddie, you’re right, based on what appears elsewhere for Lutens codes, the one you have looks weird and off. As you’ve no doubt realised already, the Cosmetics Batch database didn’t recognise it as a correct one. http://checkcosmetic.net/ I double checked one of my old Lutens boxes and, yes, alphabetic letters come first. I can’t imagine that the company would have suddenly changed its entire system to start with numbers first, but I really don’t know. Batch code stuff isn’t really my area. Plus, I haven’t heard anything about a possible change in the system prior to now. It’s all a bit bizarre and a mystery to me. How does the fragrance smell? As it should? If so, perhaps it doesn’t matter? I don’t want to leave this unresolved , for I don’t wish anyone who views your article to draw conclusions that may dissuade from any purchases . So, here we go. I checked my three purchases recently concerning Serge Lutens . Two, from the above mentioned and one directly from the US Serge Lutens site themselves . We’ll use the one from the US Serge first as a point of reference. The batch code looks like this. XNV08 X .This is on the box and bottle. The other two, VAQ02X , 6209KM. VAQ02X, is on the box, but VAQ02 X is on the bottle. 6209KM is on the box and bottle. All of these are engraved, not stickered. The inner box flap on both of XNV08 X and 6209KM are with slanted/ridged impressions .They completely match 100%. VAQ02 X is non slanted , but ridged impressions are on the inner flap. All boxes have the raised SL logo on them. All the bottles are of solid quality and the pass the 15 second bubble test. So, what do I think happened . Well, juice makers, milk and the likes, generally don’t make their own cards/cartons, a manufacture does.” VAQ02 X/VAQ02X ” and 6209KM are mistakes that a QA, ” Quality Assurance “, employee must have picked up on while in production. This happens. The employee who put the codes into the coder put in the wrong ones, and as a result ended up at a 3rd party distributor . These are luxury items and can’t be distributed to authorized dealers. I would like to see these 3rd party distributors provide information of where they get their products from though. As for the scent itself, it’s good. I have come to understand that seasons and weather may have an affect/impact of the fragrance itself. I ordered some samples from Twisted Lily , for I ran out,gave away, my samples of Fille en aigullies. I am sure the comparison between the two will be fine. Which reminds me. I got free shipping from Twisted Lily on their custom samples set. I used their code for free shipping on any purchases above $20. I had to pay for shipping with my purchases from the US Serge Lutens site. My purchases was for $135. With the shipping charges among others, it brought my cost up to $150, grrrrrrrrr. Kaf, I am trying to give an objective response in regards to my recent purchase concerning the code. Hi Kaf, so did they reformulated de profundis as well? Since when? And how I can know if my bottle is the reformulated one? Should I check my batch code? Judging by all the comments and emails I’ve received from people who have tried it, I am pretty sure that it has been reformulated, yes. The sample I smelt a year ago is certainly not the same as the fragrance in the bottle that I own and bought in 2013 or so. Trying to figure out when exactly it occurred is difficult, though. Companies never release such information so one can only rely on anecdotes. You can read some of the more recent comments in the De Profundis thread to try to assess the year in question, but, again, there is no official, exact, hard-and-fast rule to figuring out the precise year. If I remember correctly, I believe the Palais Royale manager is reported to have said in late 2015 or so (??) that almost all the main, longstanding Serge Lutens have been reformulated except for Serge Noire since that is Monsieur Lutens’ personal favourite and the one that he reportedly wears on occasion, but I don’t have a link to that comment at this time. My personal guess based on feedback that I’ve received from De Profundis lovers is that the reformulation happened sometime in late 2014 or early 2015. I think based on the batch code of my de profundis, it was from September 2013, so i guess i got the pre-reformulated one? I saw some comments that says de profundis got this laundry-musky dry down? Im wondering how different it smells comparing the reformulated de profundis and pre-reformulated one?